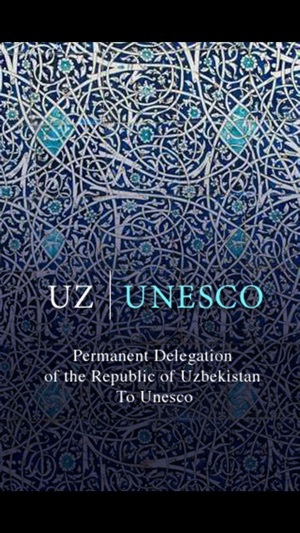 The UZ Unesco application for iPhone allows you to keep in touch with the news about the permanent delegation of the Republic of Uzbekistan to UNESCO. 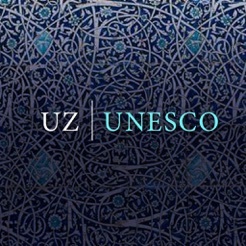 The differents topics covered are news, the country, the delegation to UNESCO, arts and culture, contacts, travels and photo galleries. 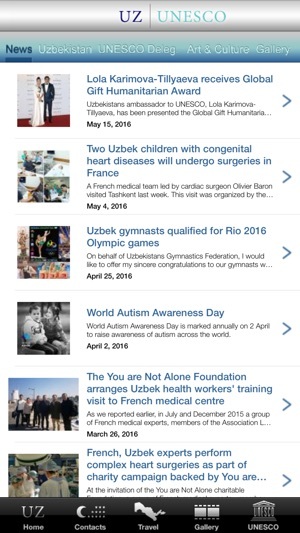 The application alerts you with an update icon when new datas can be downloaded from the Internet. • application updated to fit all iPhone sizes up to 5.5"